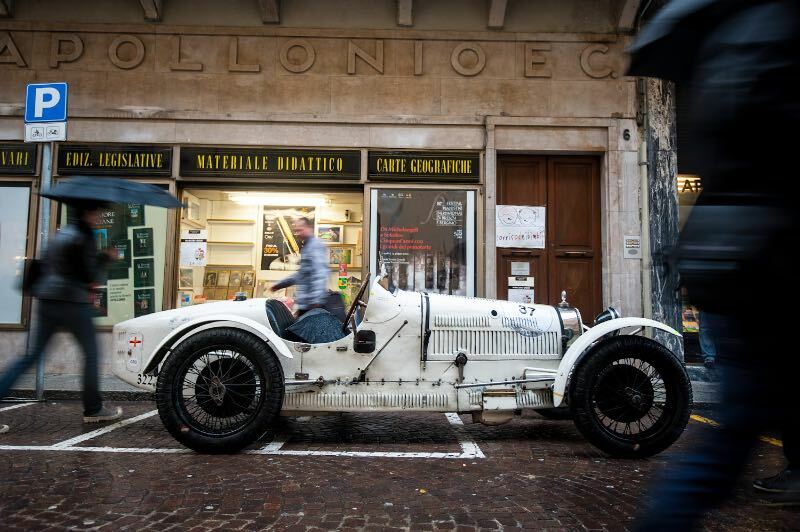 A new process has been created to authenticate cars that are eligible to participate in the popular Mille Miglia rally. The Registro 1000 Miglia was established to catalog, classify and certify the cars of the original races that took place from 1927 to 1957. Endorsed by event organisers 1000 Miglia Srl and Automobile Club Brescia, the Registro is reserved for the vehicles built before December 31, 1957. The Registro project is the result of a collaboration between ACI Storico, ACI Sport and FIVA (Fédération Internationale des Véhicules Ancienes) which are the organizations that oversee the certification of vehicles taking part in Italian and international events. Signing up guarantees eligibility of the car for the modern Mille Miglia race, which takes place every year in the month of May. Participant 1000 Miglia for those actual cars that took part in at least one of the twenty-four editions of the 1000 Miglia from 1927 to 1957. Eligible 1000 Miglia for car models which took part in at least one of the twenty-four editions of the 1000 Miglia from 1927 to 1957. 1000 Miglia Overall Winner, for the individual cars that obtained an absolute victory between 1927 and 1957. The cars registered as “Eligible”, belonging to models that were entered in the race from 1927 to 1957, will receive a 1000 Miglia Eligible Model certificate. The released certificates will use blockchain technology, to guarantee and to certify the complete history of all the data and all the operations connected to the issue of every document. Accessories of the period will be allowed; transformations of the era will be accepted if documented. 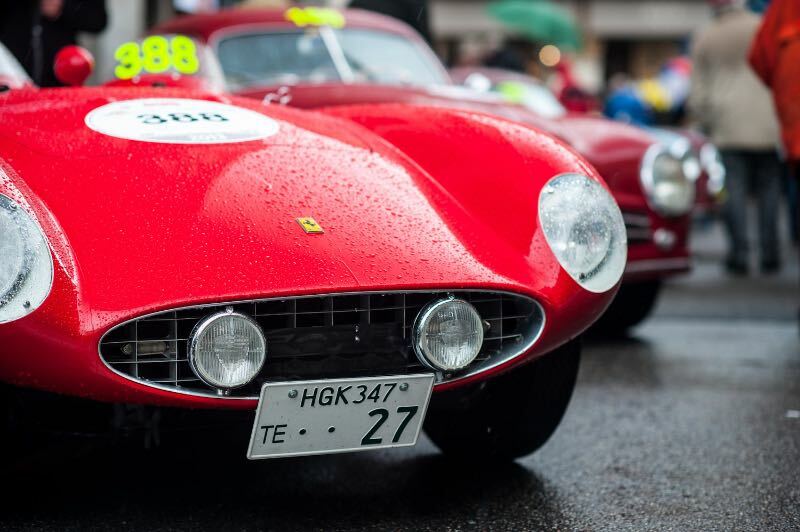 To obtain the Registro 1000 Miglia registration, all cars must have the FIVA Identity Card and Fiche ACI Storico which may be purchased at the time of application to the Registro 1000 Miglia. The bodies that will comprise the Registro 1000 Miglia are the Scientific Committee, the Management Committee and the Honour Committee, in which some of the most distinguished experts of historical, Italian and foreign motoring have been nominated. The certificate will be valid for seven years. Any alteration related to the configuration of the car or its ownership must be communicated to the Registro 1000 Miglia. The vehicle registration costs are 900.00 Euro + VAT for the “Participant” category (including historical research at the Historical Archives of the 1000 Miglia) and 500.00 Euro + VAT for the “Eligible” category. All registered cars will receive a metal plate with the logo of the Registro and the registration number to be attached to the radiator. An annual fee (1 July – 30 June) of 190,00 Euro + VAT is required to maintain the validity of the Registro 1000 Miglia certification. As a special launch offer, all application completed according to the rules by December 31, 2018 will receive a waiver for the initial annual fee and will be valid until June 30, 2019. Organisers said the affiliation of the vehicle in the Registro is an essential tool to ensure that a car can be registered at the 1000 Miglia, simplifying the procedure for registration to the race; those who register, filling out the application, will no longer need to document their cars with data, documents and photographs but can simply provide the Registro certification number. From 2020, registration to the Registro will be a required condition to apply for the 1000 Miglia annual edition and, 1000 Miglia srl will give precedence to certified cars of similar model. For further information, visit registro1000miglia.it. another way to extract more $$$ from the high rollers!